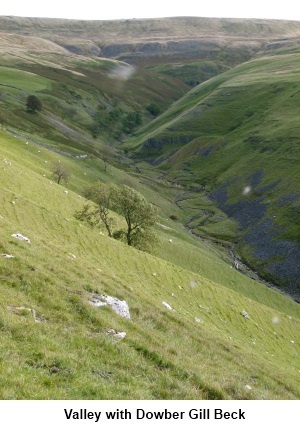 OL30 Yorkshire Dales Northern and Central Areas. 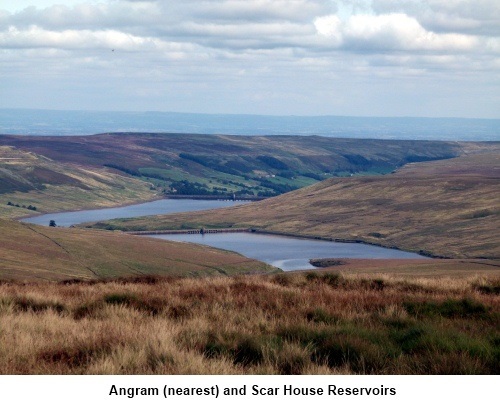 Introduction: By some quirk of Yorkshire logic, Great Whernside is smaller than Whernside (of Three Peaks fame) being a mere 704 metres compared to Whernside’s 736 metres. 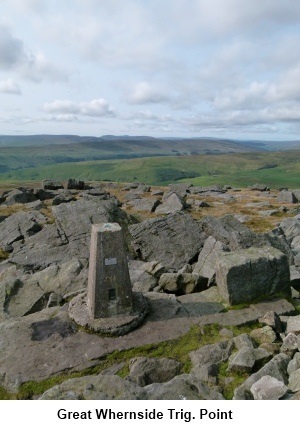 Great Whernside is the watershed between Nidderdale and Wharfedale and the walk along the ridge offers good views of both. 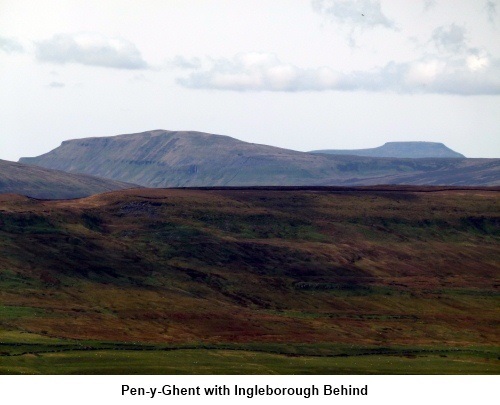 There are also good views of Pen-y-Ghent with Ingleborough behind, Whernside and Pendle Hill. On a clear day you can also see the Lake District hills. 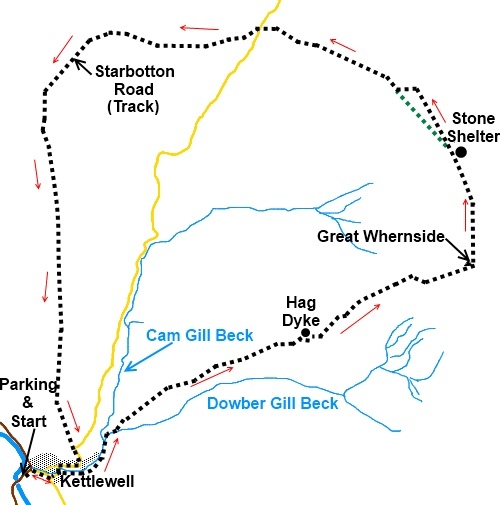 The route passes Hag Dyke a (supposedly haunted) Scout Hostel on the fell side administered by the 1st Ben Rhydding Scout Group in Ilkley which can be hired for groups of young people and will sleep 35 (according to a poster). 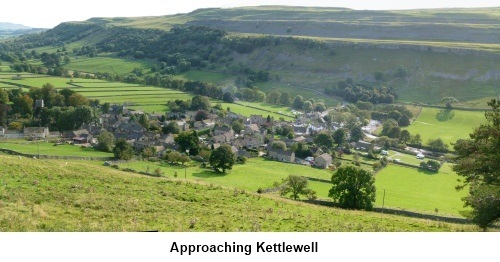 The walk starts from the picturesque village of Kettlewell which is on the B6160 between Threshfield (near Grassington) and Wensleydale. There is a pay and display car park in the village centre with public toilets but also a private one across the road, just by the river bridge, which is half the price (pay at the garage or café). As a common reference point, this walk starts from the pay and display car park. There are various pubs/cafes for refreshments. Start: Turn left out of the car park (SD 969723) then first right (Middle Lane). At the maypole, turn left signposted for the church. Walk past the Kings Head pub and at the road junction, turn right. The road follows the course of the stream (which is on the left). Continue following the stream along the tarmac road and when the road turns left over a bridge, carry straight on along a broad track, still following the stream. As the track bends right, at a bridge over the stream, turn left over the bridge and immediately right sign posted Hag Dyke and Providence Pot. Soon, go through a gated stile and follow the finger post for Hag Dyke along the left hand side of the field. At the top of the field, go over another stile and continue straight ahead. 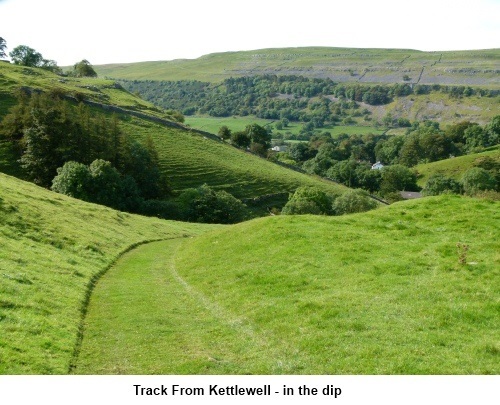 The track swings round in a loop and arrives at a stone wall. Through the wall the track forks. Take the right fork (SD 979730). You pass a finger post confirming the public footpath (SD 981730). Ahead of you, in the fold of the hill is the roof of Hag Dyke. Head for this. 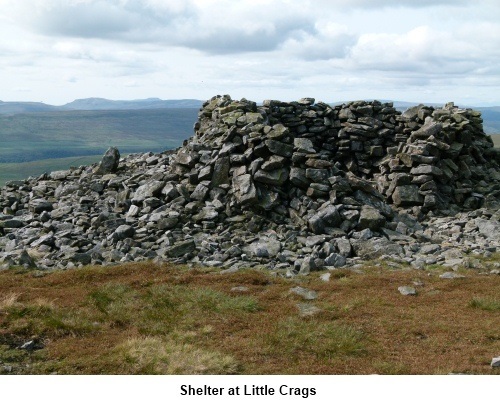 At Hag Dyke (SD 990733) there is finger post for Coverdale Road (which you will eventually cross) via Great Whernside. Turn right at Hag Dyke passing through the little gate marked public footpath to the right of the building then left through the 5 bar gate and follow the steep path up the hill. The top of this steep section (not enough on its own to warrant a red traffic light!) is a false summit. When you reach it, follow the path up the hill which is marked at intervals with yellow topped posts. Behind you, the top of Pendle Hill appears over the horizon. The path takes you to the trig. point (SE002739) amongst a pile of rocks and from here turn left. Follow the path along the ridge heading for the rocky outcrop ahead (Little Crags) with what looks to be a large pile of stones which on closer inspection you will find is a shelter. As you get closer to this, views to the right (east) stretch to the North Yorkshire Moors. Just beyond the shelter, a footpath veers off to the left downhill marked with a yellow topped post (SE 001748). This cuts off a corner but denies views to Nidderdale and Angram and Scar House reservoirs so ignore this path and continue straight ahead for about 1/3 of a mile to the corner of two walls where there is a stile (SD 998752). Cross the stile and follow the path downhill alongside the wall to the left. After just over 100 yards, the wall has collapsed and been replaced by a fence. At this point, a footpath joins from the left which is the path referred to above which cut the corner. Our path now turns right. At a fork, go left. Note this left fork is fairly faint at first but the path becomes clearer. Descend to a gate and a gated stone step stile. Go through the gate (or climb the stile) and follow the path along keeping the wall on your left. You reach the road by a fingerpost pointing back the way you have come indicating a bridleway to Scar House Lodge 4 miles and a road sign to the right indicating the start of Richmondshire. Turn left along the road and turn right on to the track close to the cattle grid (SD 986757) (do not go straight on as you reach the road on a different track). After going through a gate, the track becomes a walled lane. Follow this to join a road on a bend (SD 972725). 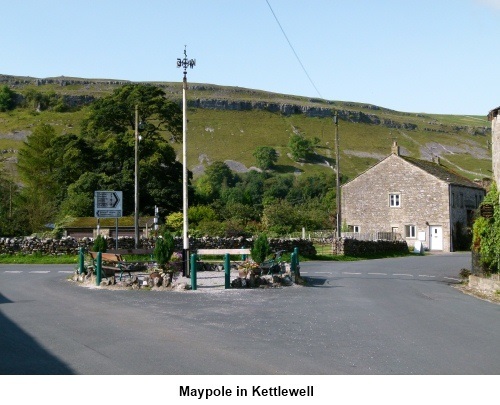 Turn right and follow the road down into Kettlewell. 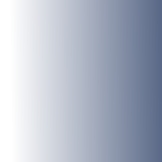 You join Middle Lane which you used on the outward journey.